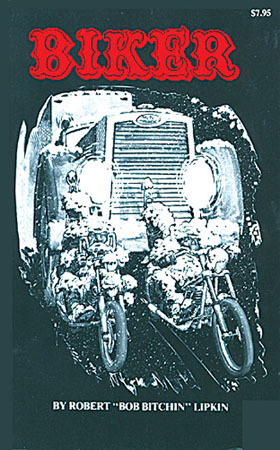 The original Biker Lifestyle post card book by Michael Lichter This post card book, Michael’s first, is still available in limited quantities. The twenty-two oversized postcards in this book capture the essence of bike week and the Harley rider. Images like "Puppy and Bear Butte", "Just Married" and "The Lineup" are included in this collection. 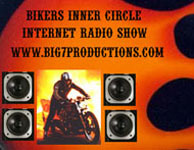 Each card is a window on the vast and unique biker culture. 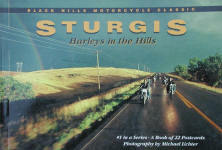 All together, the images tell the story of Sturgis. 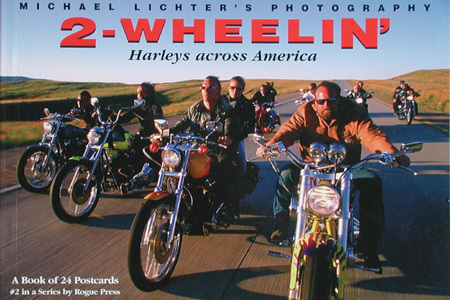 Harleys across America, a new post card book by Michael Lichter This post card book was released in June 2001. It includes twenty-four oversized postcards, almost all of which have been exhibited in the recent show by Michael entitled “Biker Generation”. Many of Michael's more memorable images like "Harley Back Piece", "Busted in Daytona" and "Dedicated" are included in this collection. A collection of true stories about riding around the US and Europe and the lifestyle of the Biker. They had to be true, no one could make it up! motorcycle culture to come out of the 70’s. 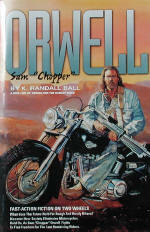 What does the future hold for rough and ready bikers? Refrigerators that tell you how many eggs you can eat, motorcycles outlawed and encased in acrylic, an oppressive government that eats individual freedoms like candy and crushes any who speaks out against it. Sam “Chopper” Orwell is apiece of motorcycling fiction that takes us on a harrowing ride into what has become less and less fictitious every day in America: the federalization and subsequent removal of American freedom. 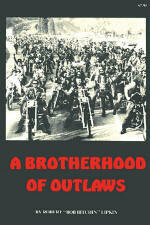 Ride with Sam Orwell, outlaw biker, as he and his bros learn how to fight the establishment, whip the criminal law enforcement Gestapo, and restore American liberties and their right to ride. Hang on for the ride of your life.